It’s hard enough starting a new business. First off, there is the statistical fact that 90% of them are doomed to fail. Beyond that there’s the battle of bringing an idea to market, and identifying that market to begin with. Once you’ve celebrated the victory of your startup actually starting up, what comes next? It’s often said that a business that isn’t growing is dying, so many owners and founders will find themselves looking beyond the horizon into parts unknown. But what does it take to accomplish this? Where do you start to grow your business to extend past its birth town? 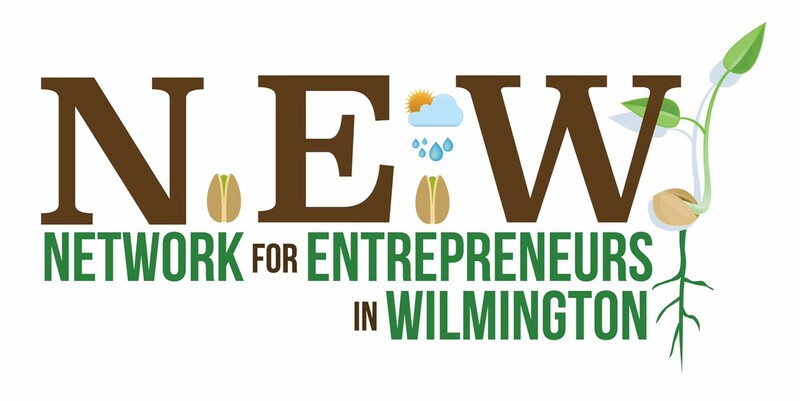 On January 27th Jim Roberts hosted another installment of NEW, Network for Entrepreneurs in Wilmington, an ongoing entrepreneurial event that works to strengthen business growth and leadership in the Port City. 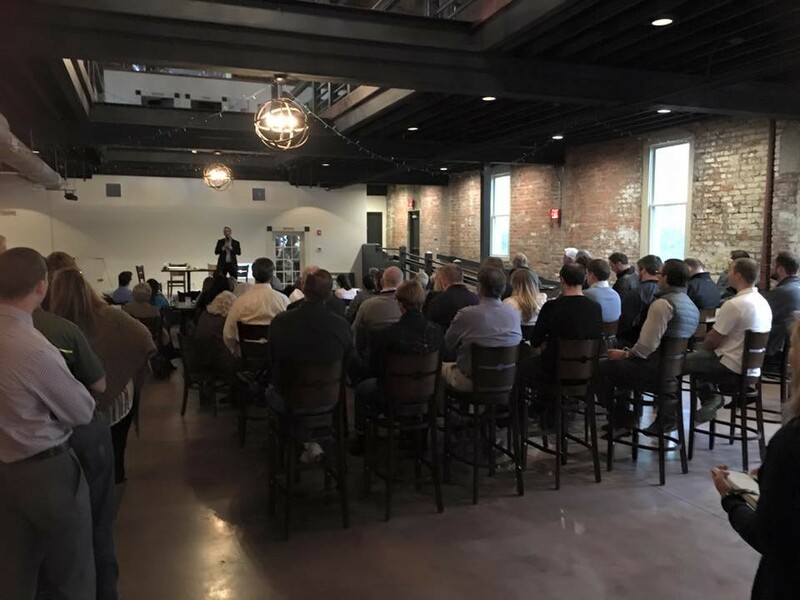 Held at Ironclad Brewery, this event ran with a theme of building your business beyond the city limits. The point of small business is seldom to stay small, at least for business flippers and serial entrepreneurs. The event featured three entrepreneur panelists: Joe Procopio, Mac Lackey, and Brandon Uttley, and was moderated by Ben Brown, reporter with the Raleigh News Observer. Each speaker brought their own perspective to the task of expanding your business beyond local. He states that a stronger entrepreneurial community is integral to creating more successful startups and points out a huge gap between the number of startups formed each year and the number of investable entrepreneurs that are available to nurture them. A support network that can identify leaders, along with an infrastructure capable of supporting the constant return to the well of knowledge required to educate throughout each stage of their ventures, is vital. The framework to provide the events, resources, and education would be created by the community of business owners and entrepreneurs, Joe continues. The drive and direction needed to build and sustain it isn’t that which would come from government or other sources. Such a platform would be a sturdy one to train entrepreneurs in and build businesses upon, but would take time. Based on a premise by Brad Feld of the Foundry Group, Joe states that the Triangle is in year five of a twenty year cycle which Wilmington is just starting. This indicates that a mature version community described above is a task that reaches out into the horizon, which is something to consider while planning growth. Brandon Uttley comes from a background of public relations and web design, and now focuses his attention on the phenomenon of podcasting. His book Pod Castaway was recently released on December 31 and outlines the difficulties of entrepreneurship and getting heard by your audience. He stated that terrestrial radio stations are aware of the threat podcasting presents to them. “From what I know, iHeartRadio has considered doing a local business-oriented podcast in Charlotte, but it has not come to fruition.” It provides an opportunity to present quality, on-demand content to your target market. Starting a podcast can also be a low cost and simple process. His general shopping list included a Mac or PC, a decent USB mic, free editing software like Audacity, an account with Libsyn for hosting your files, a WordPress blog to store the information, and a place to record audio, which could be the back of your car. Once you have the supplies, clearly define your audience using avatars or personas to outline the segment you are speaking to and hoping to reach with your message. He also recommends joining a mastermind group to help develop ideas and make discerning decisions. Mac Lackey offers the advice to use storytelling to control perception. Mac explains that while primarily focusing on tech companies, he once had the opportunity to be the founder of an aspirational brand, Mountain Khakis. This put him face to face with the story telling process, from how he presented himself as a component of a company that represented a city he didn’t live in, to promoting the lifestyle it represented itself. Story telling is in and of itself an art form, so Mac provides a framework for creating this perception using the Three Ds: Design, Distribution, Direction. Design is where the story telling process begins. Through design the entrepreneur can shift the focus of the conversation away from the negatives and distractions, whether real or perceived. As an example, he discusses business cards. They are a generally inexpensive tool and are often at the top of the list of cut costs. Lackey suggests, however, using incremental investments in the card designs, such as a thicker stock and cleaner edges, to change the perception to a larger company at first impression. As an investor, Lackey filters through many investment presentations at his desk, many of which are black and white and dull. When he comes across a bound and color printed presentation, however, his attention is immediately excited and that becomes the first presentation he reaches for. Focusing on incremental, attention-focusing improvements to one’s brand can help manage the high cost of marketing and the problem of shouting into the wind. No story, no matter how well designed, can reach the customer on its own. For this reason Lackey recommends partnering with a capable distribution channel who already has access to the market. With his soccer startup KYCK, he found the biggest players in the market and formed exclusivity agreements with them. This win-win relationship meant that KYCK did not need to incur costs of generating market penetration. There are manufacturer matching services that can assist with these. If building a community is a key step to building strong startups, there will be no difficulty for founders in Wilmington. Ironclad Brewery, which served as the event space for the panel, was filled wall to wall with men and women who raise their hand to the title of entrepreneur. Moderator Ben Brown, a seasoned reporter for the Raleigh News & Observer, expressed that he was impressed both with the informative panel of “heavyweights” and with Wilmington’s growth. After the panel, Ben opened the floor to questions, to which the presenters provided valuable information for the entrepreneurs to put to action. Overall each speaker placed a particular emphasis on a different part of the startup journey, each being highly important to the growth of one’s business beyond local boundaries. Create a community strong enough to support and deserve hosting your ambition, talk directly to your market in a way that they will listen, and design your brand to portray an incrementally greater vision over time. A Start-up Enthusiast and Solution Architect as well as an Evangelist for Compassionate Technologies.